Challenge Debate: I need help with my Spanish, por for vor. 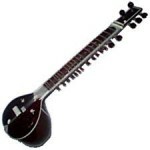 I want to know how to say "The sitar is my favorite musical instrument. Spanish is my favoprite language." Mi instrumento preferido es el sitar. Castellano es mi idioma favorito. 5 years ago Side: Comment. 5 years ago Side: Please?